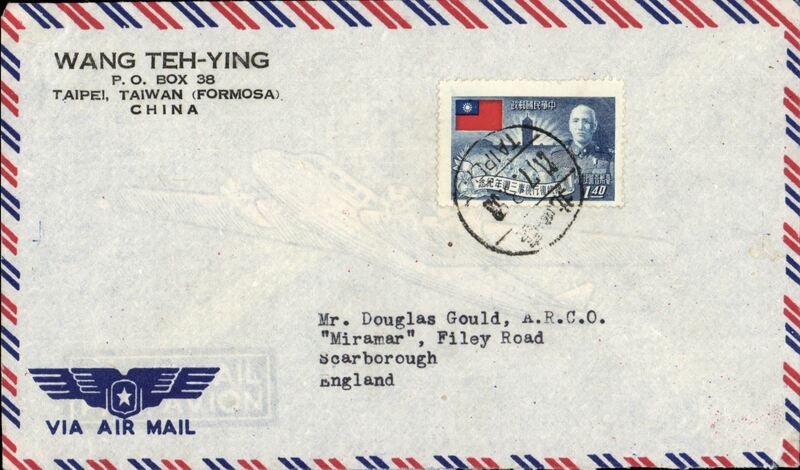 Taipei, Taiwan (Formosa) to England,bs 30/9 private receiver, armail cover franked canc Chinese Natonalist PO cds. 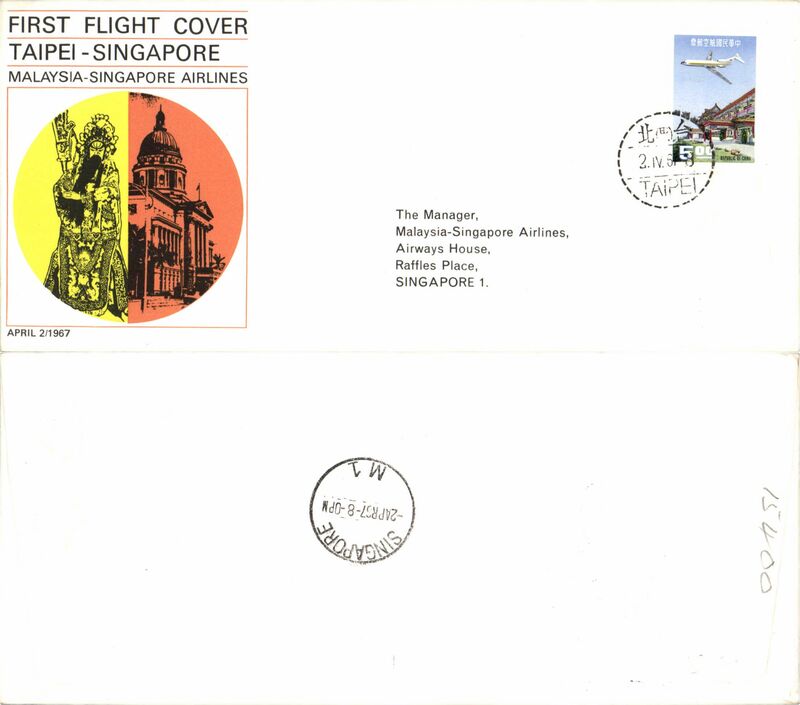 Malaysia-Singapore Airlines F/F Taipei-Singapore, bs, official souvenir cover 22x10cm. 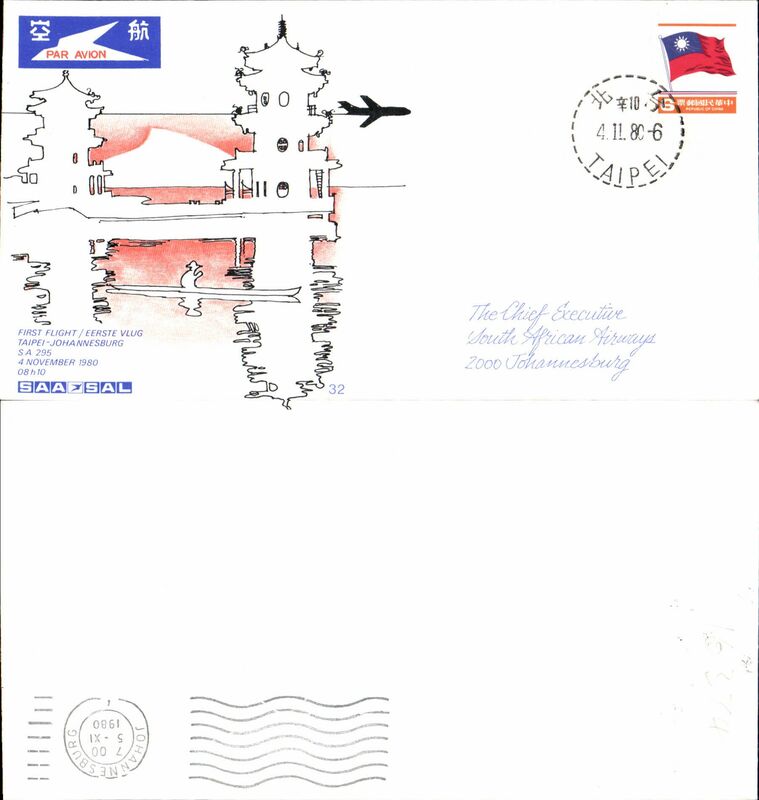 SAA B747SP, F/F Tapai-Johannesburg, official souvenir cover, b/s, recent but uncommon.